Frequently at the law library we will send people to other courthouse floors to access documents filed in Minnesota’s 2nd Judicial District (plus its other districts for that matter). Unfortunately it gets trickier for patrons seeking federal court documents. Consulting a law library at the St. Paul location of the U.S. District Court of Minnesota is not an option for members of the general public. Our library is in fact the closest publicly-accessible law library to the federal courthouse. Here, patrons can use our free WestlawNext service to access opinions from the federal district courts for all states, plus appellate level court opinions. Our Westlaw subscription also allows access to opinions from federal tax court and bankruptcy courts. Note however, that our law library does not have a PACER subscription, which also allows its subscribers to access the filings from federal courts. There are also online options for accessing federal court records for when you are away from the law library. Would you like to see a list of what new cases have been filed in the Federal District Court of Minnesota over the last month? Try this link. The Eighth Circuit Court of Appeals also has its own porthole for opinions, including newly released ones. In fact, try this: Go to this site and then do a single word search if you are looking for past opinions surrounding an obscure subject or name. While not as not as flexible and friendly using WestlawNext, this option is at least free and convenient. Also be aware of what is freely available online through the Government Printing Office (GPO). At this page you can find both U.S. District and U.S. Court of Appeals opinions going back to 2004. Again, not as scientific as WestlawNext, but free and accessible from any computer. 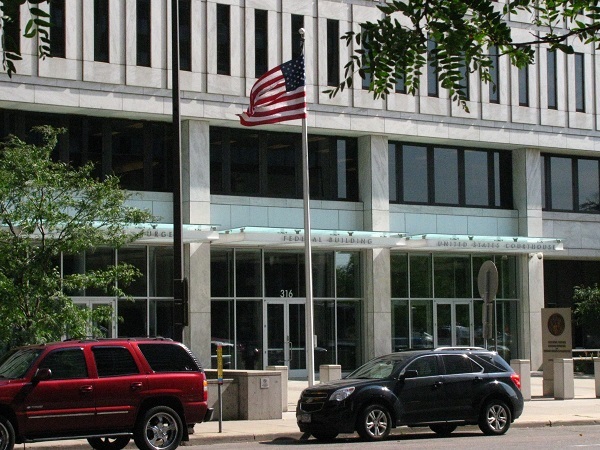 Going down to the clerk’s office of the local federal courthouse might still be your best bet if you need briefs or memoranda filed in the Federal District Court of Minnesota. There, one can use an in-house version of PACER to access these filings. That stated, getting federal case records may not be as easy as you would like, but here in the law library we keep up a respectable collection of federal practice tools. These include such resources as the United States Code Annotated (West), Moore’s Federal Practice (LexisNexis), and the Federal District of Minnesota Civil Practice Deskbook (Minnesota CLE). UPDATE (October 6, 2015): The Law Librarian is pleased to correct/update this information by stating that our WestlawNext subscription WILL in fact allow users to access publicly-available court filings (i.e. complaints, briefs) for the Federal District Court of Minnesota back to 2000. However, it will NOT allow access to filings in Federal Appellate Courts, or in Federal District Courts of other states.